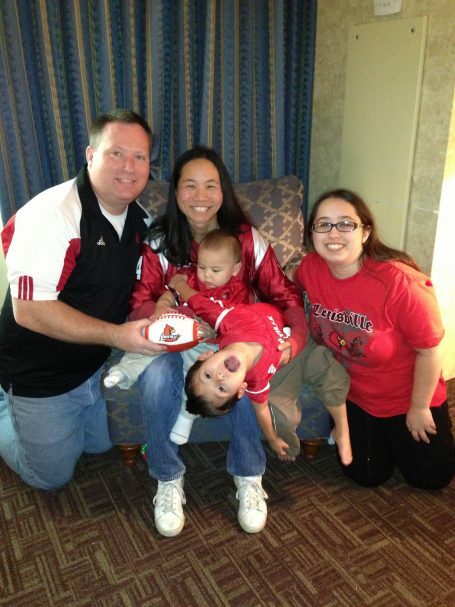 Kelly Dickey was driven to become a University of Louisville fan in Lexington. Up until a chilly day in Lexington in 1979, Kelly Dickey hadn’t paid much attention to sports or state rivalries. The sixth-grader simply needed a jacket for school, inheriting a hand-me-down from an older brother. That red windbreaker would wind up making a permanent connection for him with a certain athletic program. “When I got to school, I noticed I was getting all these snarky comments about Louisville the city, Louisville the basketball team,” he recalls, noting the jacket had Louisville emblazoned on the back. Not only would Kelly Dickey become a staunch UofL supporter but he would become one of the most knowledgeable people on the athletic program in the fan base. 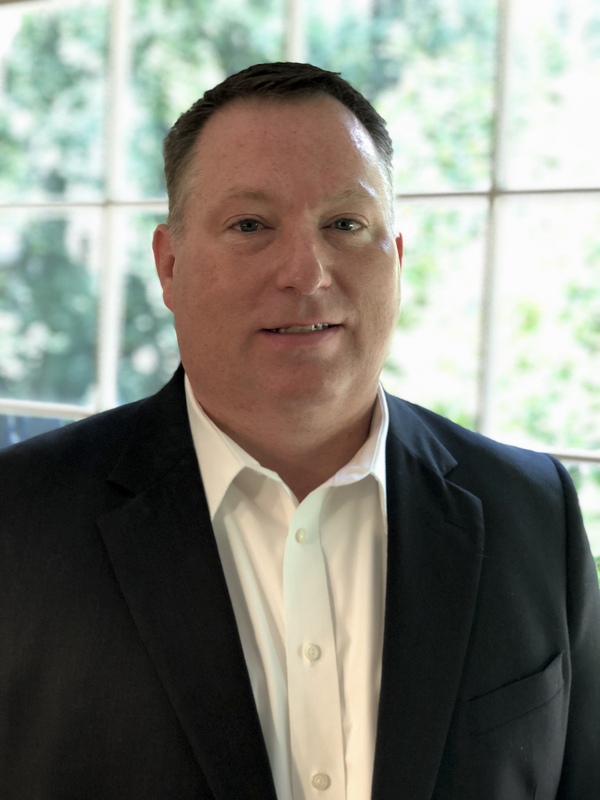 He is considered by many fans to be the last word, the go-to guy for factual information about Louisville football and basketball, from major events to the minuscule and the obscure. 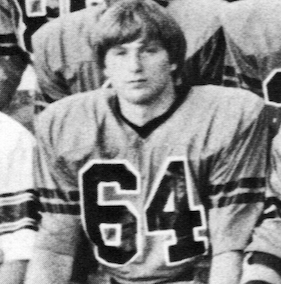 Kelly Dickey played guard on offense and defense for state champion Russellville in 1983. Dickey is a frequent caller on local call-in radio talk shows, and he’s practically a legend as CardGame on the Cardinal Authority message boards, fielding and responding to numerous questions on a weekly basis. He will be feeding stats to Paul Rogers during the radio broadcast of four UofL football games this season, including the Syracuse, Virginia, Boston College and Houston games on the road, a volunteer paying his own way. Although he seems omnipresent in Louisville, Dickey lives and works about 600 miles away in Gaithersburg, Maryland. He’s his own boss, owning a business that allows him to travel. He will, in fact, attend every UofL football game, home and away this season. When he’s not in the radio booth, he is helping Rocco Gasparro, the football sports information director, with stats. He will also be at numerous basketball games. Kelly attended his first UofL basketball game in 1981, watching the Cards defeat Cincinnati in the Metro Conference tournament championship game, 42-31. He would attend his first UofL football game in 1987, the season opener in which Louisville overcame a 23-point deficit in the third quarter to defeat Tulane 42-40. As Dickey notes, it’s still the largest comeback in the school’s football history. Kelly Dickey with his wife Katy, daughter Emily and sons Robert and Benjamin. The UofL statistics guru is developing a comprehensive data base, with spreadsheets that will eventually include every UofL football and basketball game ever played. In football, he currently has every box score for football since 1951. “It’s an ever-growing data base,” he said. “The further back you go the less information is available.” He’s had to go the old microfilm route at the Library of Congress for some games. He’s a native of Russellville, a small town located 25 miles southwest of Bowling Green. His family later moved to Louisville where he attended Lowe Elementary from the first through the fifth grade, then moved to Lexington for three years following the death of his father. For high school he returned to Russellville where he lived with his grandparents and played football for RHS for four seasons. He played nose guard on defense and guard on offense on his school’s 1A championship team, winning the state title in 1983 at old Cardinal Stadium in Louisville. Kelly has always excelled in math and statistics, parlaying his “God-given talent and interest in math” into a Bachelor’s degree in Applied Math at Harvard University in 1991. While there he subscribed to both the Louisville Times and the Courier-Journal to follow UofL. “Expensive for a college student but it was the best way to keep up,” he said. His gift also led to a successful career that includes owning his own company, Dickey Consulting, LLC, providing data management services. His wife Katy is also a management consultant. They have three children, including 19-year-old daughter Emily who is a sophomore at UofL. They also have two sons, Robert, 7, and Benjamin, 4. He wasn’t able to afford going to the NCAA basketball championships in Indianapolis and Dallas in 1980 and 1986, respectively. But Kelly, who was living in Atlanta at the time, was on hand for the 2013 championship at the Georgia Dome, just a few miles from his house. “That was a personal milestone, having them win it that close to home,” he said. Editor’s note: You can follow Kelly Dickey on Twitter at @RealCardGame. Great, great post about a man who is greatly admired throughout the UofL fan base. Kelly is a genuius but about as down to earth as they come . We are truly blessed to have him in our company. Kelly’s posts have always been fun to read and digest. He’s like a walking encyclopedia for UofL. They really ought to put him on the payroll or buy his tickets or something. He is fascinating breaking out all things numerical about the Cards. If the internet ever dies I know where I’m going for Cardinal facts! Great read! Thanks for revealing the man behind the curtain. I’m very flattered. Thank you for taking the time to write this story. Hopefully no one thinks CardGame is blogging about himself, LOL. (For anyone who IS confused, the UofLCardGame.com website with the CardGame masthead belongs to Charlie Springer, who is @UofLCardGame on Twitter and TopCard on the message boards. I am @RealCardGame on Twitter and CardGame on message boards.) There are only so many internet handles one can invent that incorporate the word ‘Card’ so it didn’t surprise me when someone with a similar moniker to mine came along. Thanks, Kelly, a great experience getting together with you, bringing the two Card Games together. Our similarities go much deeper than that, with both of us becoming UofL fans in Central Kentucky, being harassed by UK fans. I actually grew up in an orphanage in Versailles where I was surrounded by UK fans morning, noon and night. In my pre-teen days, I slept in a dormitory room with 12 other kids in beds all listening to Kentucky football and basketball games on the radio. My cousins lived in Louisville and I knew I would be going there after I left the orphanage. There was no escape from UK fans, sometimes leading to physical and mental encounters. The challenges only hardened people like Kelly and I, making us even more ardent UofL fans, unwavering many years later. Plus I have thousands upon thousands of print media going back to the 1970’s. Maybe some of that would help too. Let me know. Rob, that’s a very impressive collection and I’m sure you have quite a bit of material that would be useful to my research. Look for a message from me. Look forward to it. Maybe I can help make your research easier. Wouldn’t I just love to be in the audience when these two get together with Rob Couty for a roundtable discussion of all things UofL sports! Now that program would be really special. Thanks BCS. I agree, it would be interesting to learn tidbits about the school and players we love.